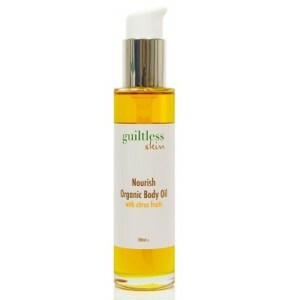 Guiltless Skin use Biodegradable raw materials and plant-based ingredients at the core of their formulating values. 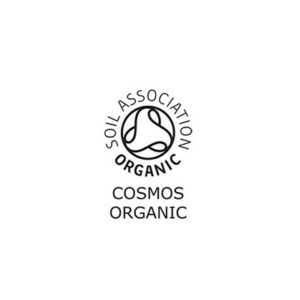 All ingredients have been independently verified as organic and are certified to strict international organic standards. Daily detoxifying gentle cleanser with activated charcoal to help draw out dirt and impurities. 32g or 105g glass bottle with pump dispenser and dual-action organic face cloth. 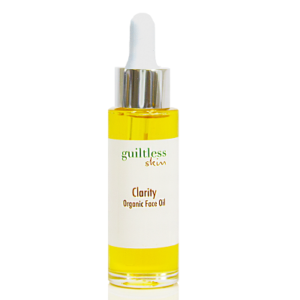 A gentle and unscented organic cleansing oil for effortless makeup removal. Leaves skin feeling soft and supple. 100ml glass bottle with pump dispenser and dual-action organic face cloth.